POLICE Double locked handcuffs in BLACK. Law Enforcement Quality. Engineered to meet the demands of Police, Military, and Security Professionals worldwide but also available to civilians. 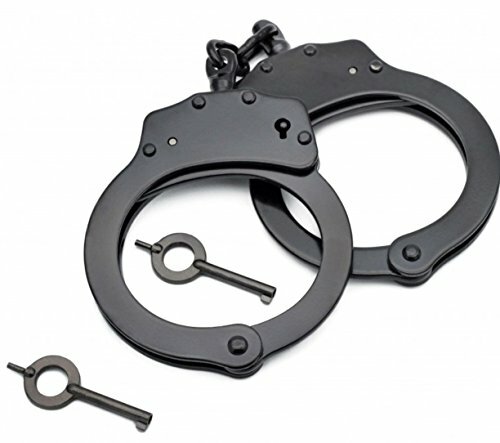 PROFESSIONAL GRADE METAL HANDCUFFS: Engineered to meet the demands of Police, Military, and Security Professionals worldwide but also available to civilians. DURABLE: Nickel Plated Solid Steel for extra durability and reinforcement. TWO KEYS: Never worry about misplacing your key because you have a spare.